Quiet often we have heard people say that respect is to be earned and not demanded and definitely not commanded. But still in our everyday life we either demand or command respect. Repect of a parent from a child , boss from and employee, senior from junior , husband from wifand in almost every relationship we yearn for respect. Respect in general is the attitude of high esteem or admiration of someone. It could also be about self or someone else. Funny it is but a simple definition like this would explain you that fear should ideally have no relationship with respect. Yet in our everyday lives we fear only then we respect. Interestingly both the victim and the oppressor are unaware of the fear and understand fear as a mark of respect. Let’s face it in almost all our homes we are expected to respect our teacher out of fear , infact I remember when Principals in school are in rounds they are teachers “What kind of a teacher are you, the children just don’t fear you.?” . Wow I wonder when the schooling system would chage to remember that teacher student relationship is not about fear but one born out of respect. Nevetheless it is not the fault of school or parents or children , as the society in general has begun to believe in this system. When a person creates fear in another, it is usually to show that I can control and disturb a certain part of your life and since we are all in a dependent on each other in our materialistic world it becomes very easy to harm and give loss to someone who he thinks as victim. But eventually if you look at the mindset of the person who demands respect and creates fear it the one who is actually a victim. A clear victim of lack of self respect and self confidence. It is this lack of faith in self that creates a sense of vaccum inside which eventually gets filled up when fear inside someone else reassures him that “I am worth getting respect”, it means that over the time every gain he creates at the materialistic world becomes his ornament like his money, house , car , gadgets , education, physical power etc because it is through these that he get reassured from others of being powerful. A truly confident person will never create fear, silence and peace are his strengths. The bestest of relationship of a parent and child is also not free from it. 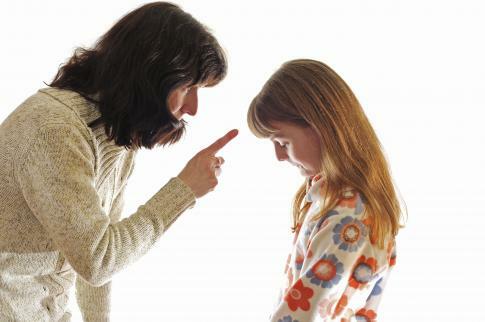 A parent creates the fear of punishment in a child’s mind to push the child to do some work. Over the time as the child grows up and masters the art of creating fear and he forces his wishes on others even on his parents. Then the parents say the children don’t respect them. Amazing but when Respect is born out of Fear, how can it sustain when the sense of Fear is gone ??? Once the fear is gone the respect also evaporates. Now the question is Do I want to get respected this way ?? What are my other options? First : remember newton’s 3rd law “Every action has an equal and opposite reaction. “ What you would give would come back in equal amounts. Learn to respect and value the person you expect respect from. No not just in actions but in your mind learn to respect the fact that every person is entitled to his/her opinion even if the other opinion is wrong according to you , the person is right from his opinions his experience. Second : Try and practise your thoughts , when you respect a person or child from within your actions should also be the same. The more the environment of understanding is created the better the thoughts are conveyed. Third : Patience Patience and talk talk … nothing will happen in a day. Always know if you are not able to convey your thoughts and opinions and if you force it on other , the other person will always hold it in mind that the decision or action is because of you and even the slightest of error will trigger him to blame you. So arm yourself up with every reason for your opinion and keep talking till you can convince the other. Fourth : Do not go into hurt and sadness if the other person is not convinced. Because even if the other person is not covinced and continues to work his own way, the other person will always respect the fact that you did not push your opinion on him and thus eventually at slightest of pain he will remember your advice thus inducing respect from within and not from fear. Every person in this world will do what they want to , you cannot protect them from pain always. If respect is practised from both sides then eventually you would never have kids hiding their mistakes from you, you wouldn’t have an employee bitching against his boss. Eventually What you give is what you get is true not only for today , tomorrow or day after but forever. Let’s be equals in true sense. As always, beautifully written Shreya....i fully agree with you...when a person lacks self respect or self confidence, he or she will become a control freak..
"Try and practise your thoughts"
It seems confusing to me,practicing thought means related to mind,solving one problem in mind will create some more problems hence you are still trapped in circle of mind and can never meet divine,the ULTIMATE.We are here to meet our own being,and we can only find it in the gaps between the thoughts but not in thoughts,not in mind. Now as you said mind is about solving problems right. So when you solve a problem that you wish to get respect from somebody but fail to get it what does a normal person do, instills fear .... how does that man instill fear he uses those things in his hand which will make things difficult for the other person. So in short hat man plans what actions he must take to create fear n other person which will come from his thoughts. If a person is always plotting and planning to gain respect , at the end of the day how will that person feel? He will feel all drained out because whole day he was using this thoughts to create fear and anger on others. Thus thoughts inside a person play a very very imp role to create fear or love. Ok now coming to last part where you said about thoughts and no thoughts. Personally i do not believe there is any no-thought zone gaps etc. Because when you feel you are in no-thought zone , then that feeling is derived from a thought itself. What you mean to say is Vocal thoughts stop. That is thoughts where in you are talking inside your own head stops , yes that can happen esp when you go deep down in emotions that happens. But it gets imp to understand why do i want to meet my own being through no thoughts gaps?? i can be myself and create beautiful thoughts and feel the same emotions while being with other souls then why should i go to no-thought zone. Everytime you go to no-thought zone it is like digging into fertile wet land , it is then you sow seeds of happy and positive thoughts so that when you come to reality you can use those thoughts into action with others. Hope this helped. If you need more explanation I'd be happy to help.